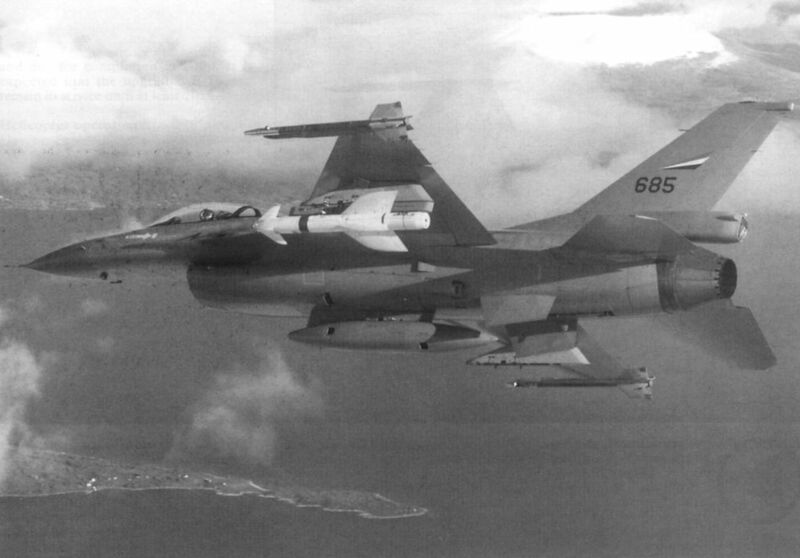 Bodo-based Skv 334, equipped with F-16s, was declared operational with the indigenous Kongsberg Vapenfabrikk Penguin anti-ship missile in May 1989. If the Eurofighter is selected as the RNoAF’s future fighter, it too will operate the weapon. 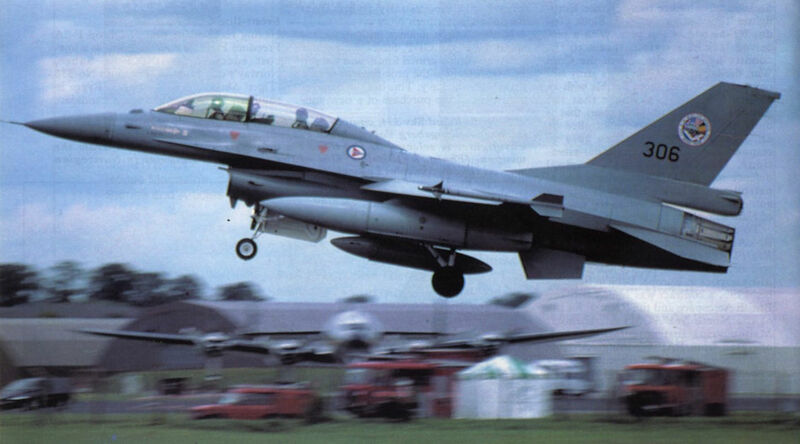 Four Norwegian squadrons operate F-16s, a type now undergoing a Mid-Life Update. This is a two-seater, operated by No 332 Skv at Rygge, the F-16 OCU. 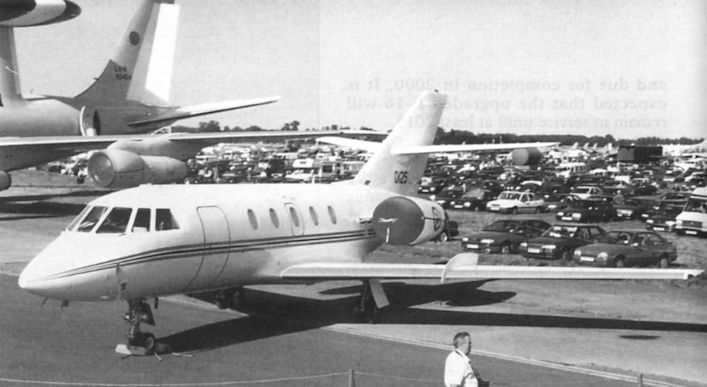 Norway took delivery of 115 F-86F Sabres, beginning in 1957. 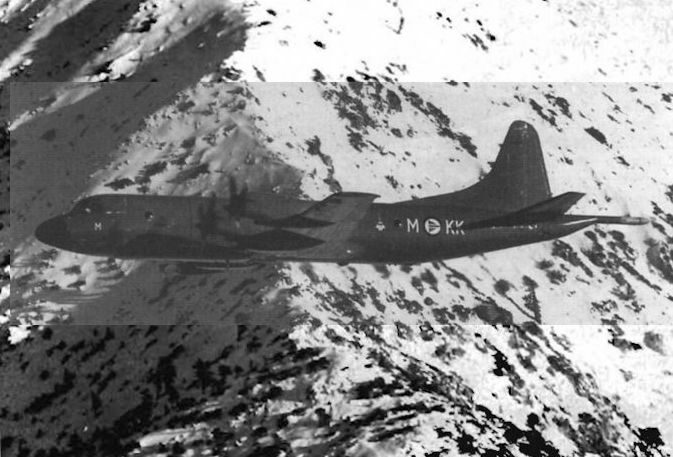 Norway’s P-3 Orions have undergone a number of modifications since this early view was taken in 1969. 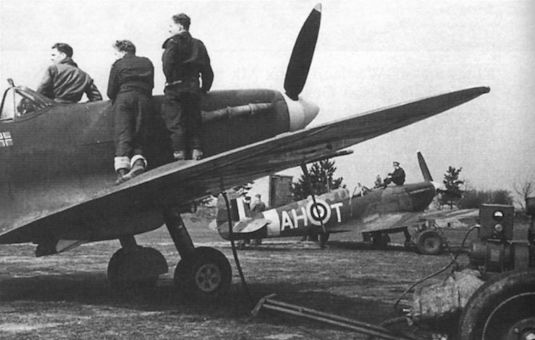 In January 1942, the second Norwegian fighter squadron, No 332 Sqn, was formed in Britain and operated Spitfires with the RAF. 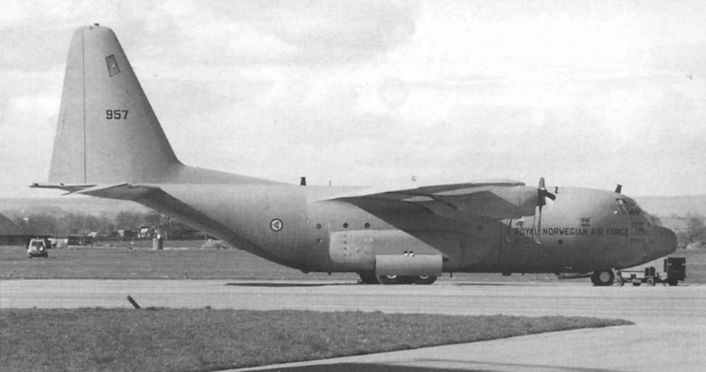 One of the six C-130H Hercules in Norwegian service. 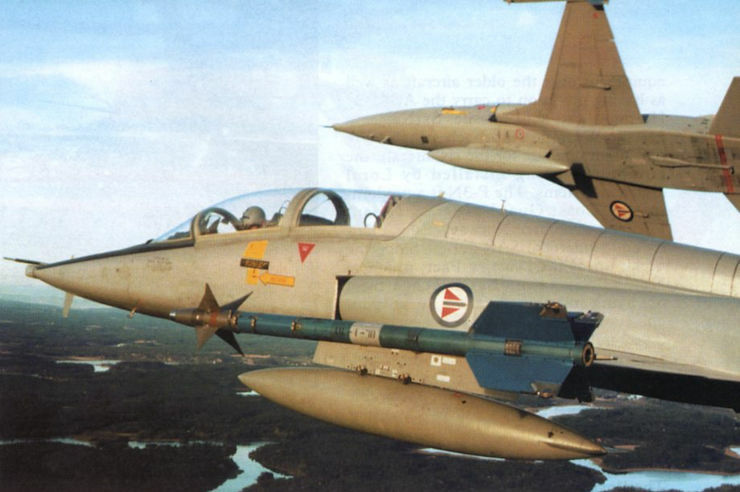 The Northrop F-5 has served the RNoAF well over more than 30 years, the upgraded examples flying with No 336 Skv at Rygge as fighter lead-in trainers. The picture was taken recently on a sortie from the squadron’s base in southern Norway. The picture was taken recently on a sortie from the squadron’s base in southern Norway. 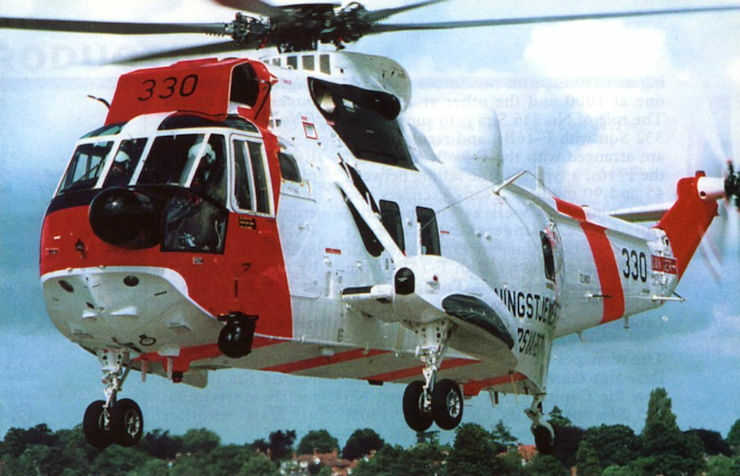 Sea King 330 is one of four machines equipped with Bendix radar, FLIR and improved navigational aids. 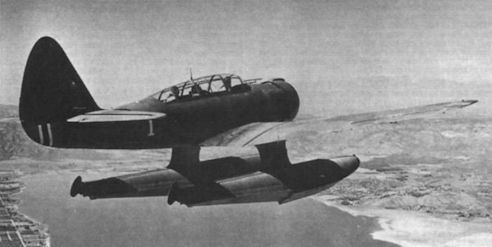 With Norwegian colours at the base of the rudder, this Northrop N-3PB was one of 24 operated in Iceland as part of RAF Coastal Command. As well as SAR duties, Bell 412s of No 720 Skv have recently returned from a two-year deployment to Bosnia, for which the helicopters were fitted with armour plate under the fuselage.